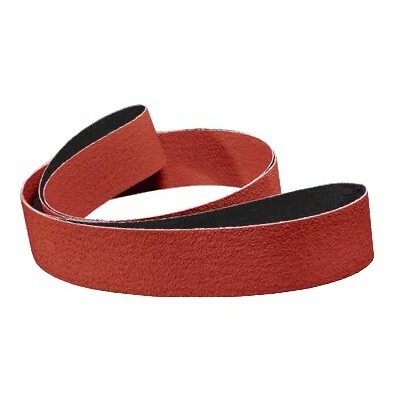 Ceramic Belts provide the longest life & fastest cut rate of all coated abrasives. They are the newest innovation and represent the ultimate in performance, providing an aggressive cut under medium or high pressure. Used primarily on metal applications. Need Sanding Belts in a grit, cloth or size that isn't listed? Contact us to have your Custom Sanding Belts made in no time at all.